Burrowmoor is primarily a place for pupils, family, staff, governors and the community to learn together in partnership in an atmosphere of co-operation and understanding. We believe that every individual brings different experiences and strengths to our school that are valuable. We aim to build on these by offering an education that is stimulating, appropriate and challenging. We encourage children to learn from first hand experience and to take an active part in the learning process. We want children to develop academically, personally and socially. We aim to deliver a broad based curriculum to all of our children, to foster in them a love of learning and an understanding and respect for the world in which they live. We aim to provide an open, welcoming and stimulating environment in which every child feels safe, valued and happy. We encourage parents and the wider community to take an active interest in the education of all our children and to feel an ownership of their school. Chesterton Primary School is a school with a current roll of 73, located in East Chesterton, Cambridge. We opened in September 2013 as an Active Learning Trust Academy, with one reception class and the school is growing year on year until it reaches full capacity. Then it will have 7 classes and 210 children. At Chesterton Primary School the children receive the best quality teaching and personalised learning opportunities possible. We support them to develop a love of learning and inspire them to achieve and question and to become independent and motivated individuals. We have high expectations for the children of Chesterton. At Chesterton we have created a vibrant and exciting learning environment and we use it ensure standards are high and remain high, to provide a rich and diverse curriculum and instil in our children a desire to do well. Working together with parents and the local community, we want to meet the needs of every child as best we can, and this makes our school a desirable place to be. Earith Primary is a small, happy school where the success of every child really matters. We currently have three classes and a library where children can learn independently. The grounds are a wonderful asset to the school offering plenty of open spaces, a ‘Five Senses’ Garden, a pond area, a small woodland area and a great trim trail. The school also has a small open air swimming pool and the pre-school building is based in the school grounds. We have a team of dedicated staff who work hard to provide a caring, supportive environment in order to support the children to succeed in everything they do. Our main aim is to make sure that we help all children achieve their very best in all areas of learning in a happy, friendly community. We endeavour to help all the children succeed, grow in confidence and enjoy their learning during their time in school. Highfield is a vibrant and approachable learning community which has it’s pupils at the centre of all that it does. The school has earnt a very good reputation in the local community and Cambridgeshire. We strive to constantly develop provision for our learners by working collaboratively with other professionals and parents in developing flexible programmes of learning. We aim to prepare our pupils well for the next step whether that is within our school or in preparation for adult life. Our school is committed to safeguarding our pupils. 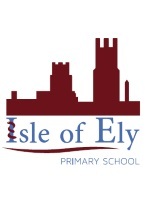 Highfield is one of Cambridgeshire’s area special schools, and is based near the centre of Ely on a site co-located with mainstream secondary and primary schools. Pupils benefit from having good access to local facilities including the Paradise Pool and Ely Cathedral. We have around 120 pupils on roll from Early Years to Year 14. We aim for pupils to have a real sense of progression through the school and each key stage represents this with the curriculum they provide their pupils. Pupils with ‘High Needs’ have a separate curriculum and assessment that meets their needs much better than the national curriculum. 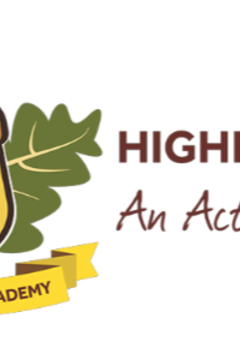 Highfield Littleport Academy is a school for pupils aged 2 – 19, which focuses on each pupil’s individual needs and ensures they reach their maximum potential. We have the option of providing bespoke provision for pupils who would benefit from accessing elements of a mainstream education while still being placed within a special school and accessing the additional resources and expertise there. Highfield Littleport works in collaboration with Highfield Ely Academy through a shared leadership team and sharing resources across both schools. Highfield Ely has a very good reputation in the local community and throughout Cambridgeshire, with places being well sought after. We aim to prepare our pupils well for the next step whether that is within our school or within the wider community. We pride ourselves in being able to equip our learners with the essential skills for adult life. We are based on the same campus as Littleport and East Cambridgeshire Academy (LECA), and collaborate with staff and resources and have a shared curriculum with LECA, meaning that we are able to provide programmes of study for pupils with the most complex needs through to those who are able to access some GCSE level qualifications. Highfield Littleport has started small and will grow over time, with a suggested maximum roll of around 110. Currently there are 31 pupils on roll aged between Reception and Year 8. At Kingsfield we offer a curriculum which is broad, balanced and differentiated to meet individual needs. We set great store by focussing on reading, writing and mathematics, alongside our creative curriculum. We also aim for pupils to have developed the interpersonal skills, confidence, patience, determination and independence to help them succeed in life. The children benefit from working in bright, cheerful, well resourced classrooms, all with interactive whiteboards. All children have access to a well equipped I.C.T. suite/library in which they can access the I.T. curriculum on a weekly basis. We also have two large halls for a range of activities, including P.E., Singing, Dance, Drama, Assemblies and end of term performances. Littleport and East Cambridgeshire Academy (LECA) is a brand new, state-of-the-art Secondary school primarily serving the popular and thriving village of Littleport, Cambridgeshire. It opened in September 2017 with a cohort of 84 Year 7 students and will grow year on year until it reaches capacity of 600 in 2022. 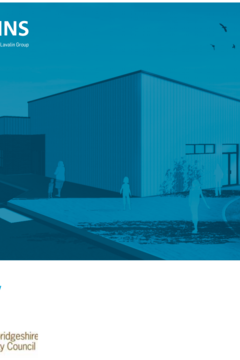 LECA shares its campus with Littleport Leisure – a brand new leisure centre – and Highfield Littleport Academy (SEN) meaning the opportunities for all users are many and varied. The key advantage of the campus is sharing the wealth of expertise in both schools to benefit all students. LECA students have access to SEN specialists every day of the week and Highfield students can access subject specialists at LECA as they advance to GCSE stage. The vision for the Academy and the campus as a whole is to be the go-to location in East Cambridgeshire to learn and to spend leisure time, thus promoting a thirst for learning and healthy lifestyles at the same time. The campus is open to all outside of school hours and the general public are able to enjoy the outstanding facilities both at the Leisure Centre and in the school itself. With community at the heart of the vision, LECA has already made business links with 2 global companies who are based in the area meaning that students will have countless opportunities to work with local industry professionals both in school and outside of it. At LECA we believe such partnerships are vital for our students to learn about the world around them and prepare them for working life once they leave education. Neale-Wade Academy, a large comprehensive school with 1658 students, is a vibrant school with high expectations for all students. The teachers work hard, using a variety of innovative and active approaches to teaching, to ensure that every student makes progress towards their target grades and levels. The school is located in March which is a market town in Cambridgeshire that is situated 30 miles from Cambridge. March is a busy town with a very diverse local community. The Neale-Wade Academy is a truly comprehensive school and we are committed to serving the children of our community to ensure that they have very best education possible. The school is one of the largest employers within the town and we work closely with all of our feeder primary schools and other local organisations to ensure that we meet the needs of our children and the local community. We believe that a strong partnership between students, parents and the staff of the Academy is essential to allow us to continue to make progress and deliver an education that means our students develop a passion for learning throughout their lives. We are dedicated to providing the highest quality educational experience, inspiring all to be successful learners, confident individuals and responsible citizens. The Albert Pye Primary works in federation with Ravensmere Infant school and our federation is about children: children are at the heart of all we do. Our aim across both schools is for each child to leave school with the highest possible standards of literacy and numeracy for them, but of equal importance is that we want our children to be happy, confident, independent learners who enjoy learning and coming to school. We want children to make the most of every opportunity available to them during their time with us. Staff work hard to make learning as rich and meaningful as possible for our children. As a community we need to ensure that the students get the very best chance of success. They only get this one chance and I believe that is entitled to be outstanding. As a parent myself I understand that our children's education will flourish within a safe, nurturing and vibrant community. I also believe that it is the responsibility of every educational professional within a school to support the students towards this entitlement. If you think about your best memories of learning and enjoyment and I amsure, like me,they revolve around experiencing active, engaging activities.Here at Gusford we have a desire to make learning engaging. Role play, hands on history, team sports, adventurous activities and parent/child workshops are all ways we try to engage children in learning. Alongside this is the aim to ensure the children have the basic building blocks for English and Maths. In the four years that I have been Headteacher here we have seen writing results rise by over 20% and maths results rise by 13%. This has been through focusing on each child and targeting their needs. Of course we still have improvements to make, like all schools, but one thing you can be sure of is that Gusford is a school where your child will not only have good memories of their learning but will develop an enthusiasm for their learning. We hope that this leaflet gives you the information that will help you decide if Gusford is the school for your child. 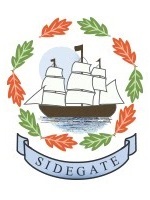 Hillside School is a co-educational primary academy school for pupils between the ages of 3 and 11 years. It serves the Maidenhall and Stoke areas of south-west Ipswich. The two-storey building, built originally in 1937 with extensions in 1951 and 2004, has benefited from further refurbishment in recent years. It comprises 19 classrooms, two halls, a library, an ICT suite and a separate Nursery building (eighty part-time places). There are two spacious playgrounds and a large playing field. 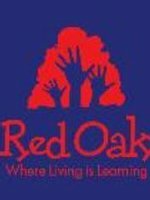 The school is situated in superb grounds which provide a very pleasant environment and offer excellent views of the river and the surrounding countryside. Within our grounds, the children enjoy the resources of a wild area (including a pond), vegetable beds and an adventure playground. Our Early Years Department has two enclosed hard-play areas together with a garden and sand-pits. Hillside is well established in the community and provides a broad education for its pupils. We aim to encourage each child to develop to their full potential, not only academically and socially, but in the arts and in sporting activities too. 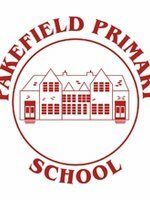 Pakefield Primary School has an inclusive ethos and we treat all children as individuals in order for them to become creative and talented adults. Children love coming to school as learning is exciting and relevant. Staff and children consistently have high expectations of each other, which in turn assists the school community in achieving success and making progress. Ravensmere Infant school works in federation with Albert Pye Primary and our federation is about children: children are at the heart of all we do. Our aim across both schools is for each child to leave school with the highest possible standards of literacy and numeracy for them, but of equal importance is that we want our children to be happy, confident, independent learners who enjoy learning and coming to school. We want children to make the most of every opportunity available to them during their time with us. Staff work hard to make learning as rich and meaningful as possible for our children. Our aim is to make our school the heart of the Kirkley community, providing a high quality education enabling our children to develop as independent, caring and responsible citizens. We provide a very rich and exciting curriculum through subject and topic work, encouraging pupils to develop enquiring minds. We hope that your children will be very happy at Reydon Primary and will enjoy being a member of our school community. The children in our school are polite, measured in their approach, have a mature attitude and interact confidently with adults around the school. Therefore, we intend to build on the childrens’ enthusiasm for school and develop their ‘Behaviours for Learning’ so they are fully prepared for life in Modern Britain. The Primary Phase of Education is absolutely vital for future educational success, and we will do our utmost to enable your children to achieve the highest standards. If your child is about to start with us, you are new to the area or would like to know more about our improving school, please feel free to contact us and pop in for a tour. At Sidegate Primary School we aim to: - enable and expect all learners to achieve their potential, strive for excellence and overcome any barriers to success; - continuously reflect and improve on what we do and what we offer to our learning community; - grow a passion for learning that remains with learners throughout their lives; - create an environment where learners feel safe, secure and supported; are eager to take risks in their learning and are encouraged to be active, curious and to explore new things; - give learners the basic skills required to access the primary curriculum and beyond; - give learners access to the tools and technology needed to create and innovate; - provide a balanced, broad and creative curriculum which enables all learners to develop their individual talents; - support pupils to become determined, confident, motivated and resilient young people who have goals and ambitions they can aspire to; - create effective learning partnerships between school, pupils, families and the wider community; - give learners the skills to become thoughtful, reflective, open-minded citizens who respect and understand others and can challenge stereotypes; - give learners an understanding of the need for sustainability and the environmental impact of all that they do. Westwood Primary School is a one form entry primary school catering for children aged 3 to 11 years old. We have 210 main school places and a 26 place Nursery. The school is located in the seaside town of Lowestoft, a seaside town in Suffolk, close to the border with Norfolk. Our children mostly live in the immediate local community but some do live further away. Westwood Primary School is a happy, family orientated, child focused school, where everyone can recognise and achieve their full potential. Standards of achievement in all areas are rapidly improving. Westwood Primary School is a place of learning, where everyone is successful. It is a place that fosters relationships and acceptance and a place of belonging, where everyone is welcomed, nurtured and safe. We are committed to making each child’s experience at school unique and making sure that everything we do best meets the needs of our children and our community. Children have access to high quality learning experiences delivered by high quality teachers and support staff through exciting and creative teaching and learning. 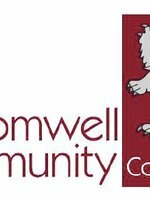 We value the support of the local community and believe strong working partnerships strengthen outcomes for children and ensure they continue to enjoy learning throughout their lives. We welcome involvement and feedback and are committed to regular contact and an open, honest dialogue. Our principle aims are to nurture and care for our children, make learning enjoyable, ensure children achieve their best and prepare them for the next steps in their learning journeys.